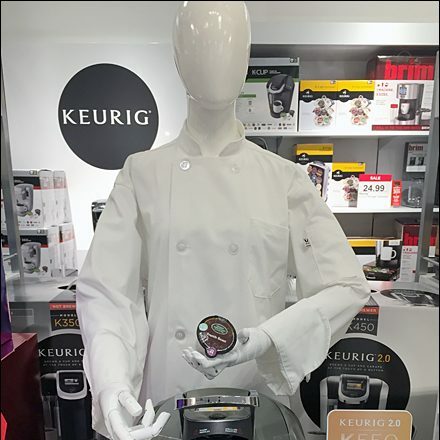 This Keurig Ease-of-Use Spokesmodel points out the ease-of-use of new Keurig 2.0 coffee brewers. And if that is not enough emphasis, JCPenney floats a Keurig departmental logo in the background to make sure you don’t miss the connection. Food-service attired, the mannequin lets you know this is the most professional solution for your coffee drinking habit. 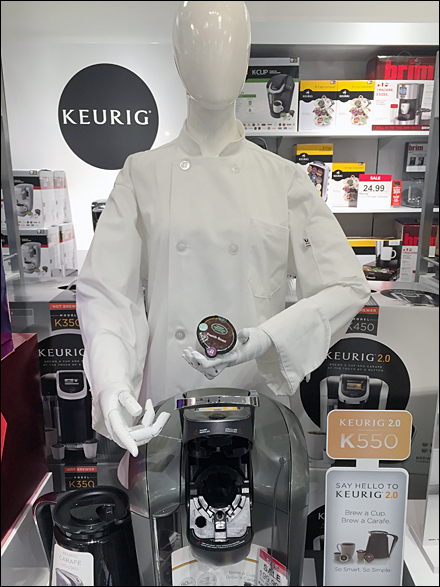 See the Keurig Ease-of-Use Spokesmodel gallery for zooms.